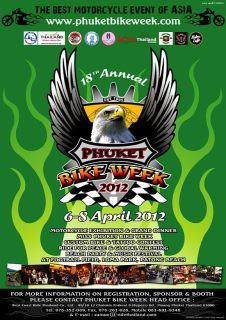 Be a part of the Phuket Bike Week 2012 jointly organized by the Phuket Riders Club and Ride Thailand Magazine. This year will see the Second Annual of the Phuket Motorcycle Exhibition which is a must for all bike lovers, and an excellent platform to exchange contact information. International motorcycle companies have also been invited to take part in the exhibition. The event activities will include competitions for best of bikes, souvenirs for bikers, as well as a colourful variety of concerts. The Phuket Bike Week Grand Dinner 2012 has received great support over the years from bikers around the world. 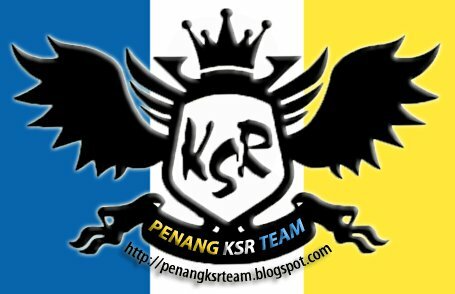 Each year the idea is to facilitate connections and create unity between bikers from Malaysia, Singapore, Indonesia, America, Europe, Saudi Arabia, Hong Kong, Japan and Thailand. Ride Thailand provides a sit-down gala dinner with light entertainment including traditional Thai shows and dances. The objectives of the events are to promote travel and tourism in Phuket and Thailand; create greater unity for bikers worldwide; promote safe riding helmets on heads and lights on bikes; the promotion of motorcycles and products from around the world; and organize charitable activities to raise funds for schools for underprivileged children in Phuket. Participants in PBW and the MCE include over 400 Motorcycle clubs around Thailand, trade visitors and individual visitors interested in all types of motorcycles.